This web page was written to help our team members and referrals at Reality Networkers find reliable PTCs and PTRs. Since many of our team members still have not paid their membership fee, our purpose is to help those team members that do not have a reliable or viable income source earn money to pay their $25.00 membership fee. At This Website Is The Proof That Anyone Can Earn His/Her $25.00 Membership Fee Online With Ptcs & Ptrs. DO NOT SPONSOR ANYONE ELSE UNTIL YOU HAVE VISITED THE LINKS, AND READ THE MESSAGES AND INSTRUCTIONS AT THIS WEBSITE. THIS WILL HELP YOU AVOID THE MISTAKES OTHERS HAVE MADE. A LITTLE TIME WISELY SPENT WILL PREVENT MONTHS AND YEARS OF FRUSTRATION AND USELESS EFFORT. Note #1: As stated: We have proven without any doubt or question, that anyone can go online and earn his/her $25.00 membership fee if he/she has the desire, a want or need to do it. Termination of phone service, computer access and/or online capability is not an excuse. It is a reason and a legitimate condition that must be overcomed. Note #2: All dollar and cents amounts at this website are given in United States Denominations (USD). In less than 6 months, we earned the $25.00 membership fee with the PTCs and PTRs listed at this website and without any help from referrals. How long it will take depends on you and the size of your ambition. By the end of 2010, we had earned over $1,000.00 (USD) Click here to see more. Therefore, please do not start or continue lying to yourself and/or deceiving yourself that you do not have $25.00 and/or cannot get or earn your $25.00 membership fee. There are 5 ways to invest in your financial future by paying your $25.00 membership fee at Reality Networkers. It is important to remember your onetime $25.00 investment in yourself, allows you to earn $3,120.00 for building a complete and permanent 5x6 income network. Everything you will have in life depends on your confidence, trust and belief in you and your destiny, combined with faith and expectation. 1. Fast pay - Make a $25.00 investment in your financial future, by paying it from an existing balance on a credit or debit card. Use this method if you have the financial means to do so. 2. Sacrifice and pay - Invest $25.00 in your financial future even though it might leave you with less money to spend elswhere. If you use this method, you can recover your payment from existing income or take advantage of a PTC or PTR. 3. Save to pay - This is by far the most practical method to invest in yourself and your future as a Reality Networker. If you have a reliable, viable or steady source of income, save $5.00 a week for 7 weeks or $5.00 a month for 7 months; whichever is more comfortable to do. Save until you have enough. Then transfer the money you have saved for your membership fee to a PayPal or Payza online payment service. If you do not have a Payza or PayPal account, you can join for free by clicking on any one of the links on this page. This saving method will help you develop a saving-more-of-your-money-habit, that will enable you to keep on saving for future needs. 4. Earn it and pay it - This self investment method is basically earning your membership fee by whatever legal means that are available to you online or off. Earn it and pay it, generally involves using money from a second job, an existing business or some other income or financial source. This also includes borrowing it from a family member, relative, co-worker, associate or friend. However, be sure to have a method or plan to repay your financial source as soon as possible. 5. Using PTCs and/or PTRs - This method involves spending 45 minutes to an hour daily reading or clicking on ads until you have accumulated enough money to pay your membership fee. Depending on the PTC or PTR, you may have to join more than one to reach your objective. Using a PTC and/or PTR to earn income takes longer and should only be used if you do not have a reliable, viable or steady source of income. The best strategy to utilize, if you must use a PTC and/or PTR, is to join more than one and combine them into a comprehensive system. Regardless of which payment method you use to become a Confirmed Level 1 Member, expect to succeed without hesitation, reservation or doubt. The best online payment services to use for Reality Networkers are PayPal and Payza. Even though e-gold is a world class online payment service, funding an e-gold account in today's economic environment can be challenging. If your goal is to build a permanent online income network, you need an online payment service for your Referrals and team members that is accessible, reliable, practical, protected and relatively easy to fund and receive money from. It is for these reasons and more that we highly recommend using PayPal or Payza for your online payment needs. Note: All payment methods will involve the use of a debit card, credit card or bank account to transfer or add money and receive money. If you do not have a bank account, and you live in America, you can acquire a debit or pre-paid credit card from any Walgreen, Walmart, Kmart or any general merchandise store, or any good online debit, pre-paid credit or credit card service, such as GreenDot or OboPay. You can even market debit, pre-paid credit and credit cards to others by becoming a RiverOffers affiliate. Use the links on this page for more information about these services and programs. All links open in new windows so you can return here to continue. A Pay-To-Read, abbreviated PTR, is an online business model that allows advertisers to send offers to a list of opt in readers. These readers join or sign up with a PTR owner or company for free and earn income from reading or clicking on links that take them to online advertisements. 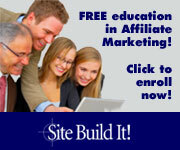 Participants usually earn from $0.0001 up to $0.02 for every successful click on an advertiser's link. Advertisement can be sent to the participant's online mailbox or the participant can go to the owner's or company's website to view advertisments. Many times additional income can be earned by taking advantage of offers and referring others. Pay-To-Click, abbreviated PTC, is another business model that is very popular online. Essentially, a PTC owner or company uses income from advertising to pay partcipants for time spent clicking on advertisement. Since the software the company uses tracks websites the participant visits, a PTC owner or company can deliver targeted ads for their advertisers. Advertisers pay the PTC owner or company to have access to their members. Many PTC owners and companies also pay members for recruiting new participants. Thus, it is profitable for members to refer as many new participants as possible. Like many Internet business models, Pay-To-Read and Pay-To-Click also attract people that will try to defraud advertisers out of money and defraud people trying to earn income from home. Legitimate PTC owners or companies essentially act as middlemen between advertisers and consumers. The advertiser pays for displaying ads on the PTC website, and a part of this payment goes to the participant when he/she views the advertisement. Although PTCs and PTRs are excellent advertising venues to direct traffic to one's site, many times unscrupulous participants try to use bots so they do not have to spend time clicking on links or viewing ads to get paid. Bots and fraud are major concerns of PTC and PTR owners and companies. Because unscrupulous individuals can setup PTCs and PTRs to scam participants and advertisers alike, we felt it was necessary to find sites that are reliable for our referrals and downline team members. Scam PTC and PTR sites are all over the Internet and they attract new participants by offering cheap upgrades and high payouts for recruiting referrals. These sites generally disappear without a trace after a short time. The overall best PTRs are those that pay with checks like Inboxdollars, SendEarnings, Hits4Pay and DealsNCash. However, these PTRs can take a long time to accumulate money if all you do is read or click on ads and links and do not take advantage of offers. These PTRs pay $0.01 (1cent) to $0.02 (2cents) and, sometimes, up to $0.05 (5 cents) per advertisement viewed. Depending on whether you are paid 1 cent or 2 cents per advertisement, you would have to view 1,500 to 3,000 advertisements in order to earn enough money to receive a check. Many times an administrative fee is deducted from the money you receive. The best PTCs are those that pay directly to an Payza or PayPal account. One of the few online is DonkeyMails. The next best group of PTCs are those that pay after a small amount of money is accumulated, generally, less than $10.00. This is the overwhelming majority of PTCs on the Internet because most of the time these PTCs pay $0.0001 to $0.0005 - sometimes more - $0.001 to $0.005 and rarely $0.01 to $0.02 or $0.05. In any event, if you do not take advantage of offers or recruit new participants, you would have to view or click on a large number of ads to earn $1.00. It is extremely rare to earn $0.10 (10 cents), $0.25 (25 cents), $0.50 (50 cents) or more per click or ad view. Therefore, the best strategy to earn income from PTCs and PTRs is to combined them into a comprehensive income system and invest the time needed to earn your membership fee. This certainly beats doing nothing and this activity puts you in a position to earn commissions from your work at Reality Networkers. PTC Investigations is one of the most comprehensive and reliable information sources you can find about PTRs and PTCs on the Internet. Use the following link to go to their blog for trusted sites, legitimate sites, master lists, watch lists and scam sites. If other sources are found, we will add them here. The PTCs and PTRs listed below are the ones Independent Marketing Group.Ws joined to investigate and/or investigated without actually joining. Remember at all times, Internet companies can come and go with little or no notification and companies can change policies and procedures at any time. Consequently, use PTCs and/or PTRs until they stop working for you. As of January 01, 2011, There are no more Direct Pay PTCs or PTRs. Direct Pay means every click is paid directly to an online payment service. All reliable PTCs and PTRs are Accumulated Earnings. This means you must reach a predetermined payout amount before money is received. Please Note: We are no longer active in many of the PTCs and/or PTRs listed below. Our purpose and goal was to prove that anyone can go online and earn his/her $25.00 membership fee. This has been proven. Therefore, there is no pressing monetary need for us to continue. Since the membership fee was earned by participating in the following sites, they are being maintained for historical reasons. Some links are still active, others are not. This website (and the web pages it contains) is written specifically for IMG.Ws' Referrals and Team Members at Reality Networkers and not intended for public use or display. If you have arrived here by any means, other than being invited by someone in our downline, you are welcome to stay. Even though the information at this site is not meant for you, you might find it useful. You might even be interested in becoming a Reality Networker, if so click here. Thank you for your understanding and cooperation. Jurisdictionary®You might have to sue Ptcs & Ptrs to get your money.Click the above link to get your step-by-step course on how to file a lawsuit.